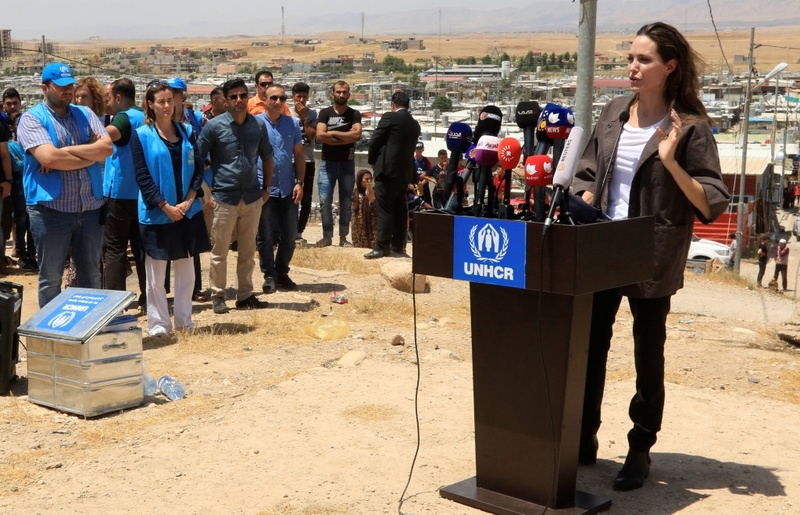 The Hollywood actress was visiting the Domiz Camp, in the semi-autonomous Kurdistan Region of Iraq, which is home to 33,000 Syrian refugees displaced by seven years of civil war. 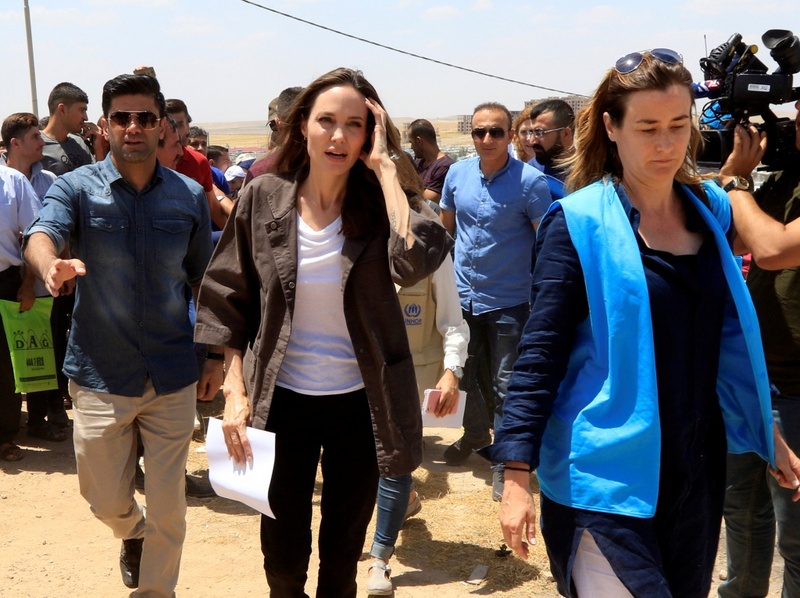 Funding received by the U.N. High Commissioner for Refugees (UNHCR) to help refugees from the Syrian conflict fell sharply this year from 2017 when the agency received only 50 percent of the funds it needed, Jolie told a news conference. “There are terrible human consequences. When there is even not the bare minimum of aid, refuge families cannot receive adequate medical treatment. Women and girls are left vulnerable to sexual violence, many children cannot go to school, and we squander the opportunity to invest in refugees,” she said. UNCHR will publish figures on Tuesday that show that the number of displaced people globally, and the duration of their exiles, are “the highest they have ever been”, she said. “At the same time political solutions seem to be completely lacking leaving a void that humanitarian aid cannot fill. Words like ‘unsustainable’ don’t really paint a picture of how desperate the situation really is,” said Jolie. She met families at the camp, including two mothers who are now widows caring for young children after their husbands died from conditions that could have been treated under normal conditions, Jolie said. In 2011, Domiz was a small camp housing tents. Now it is a town complete with concrete houses, shops and fast food stalls. Ahmed Hussein, a refugee father of nine children, one of whom died and five of whom are handicapped, said he and other refugees lacked access to basic treatment and could not find jobs. “I wish Angelina had come to my house to meet my handicapped children who need medical treatment,” he said in his makeshift house where he has been living since 2015 when he fled the Syrian town of Qamishli with his family. 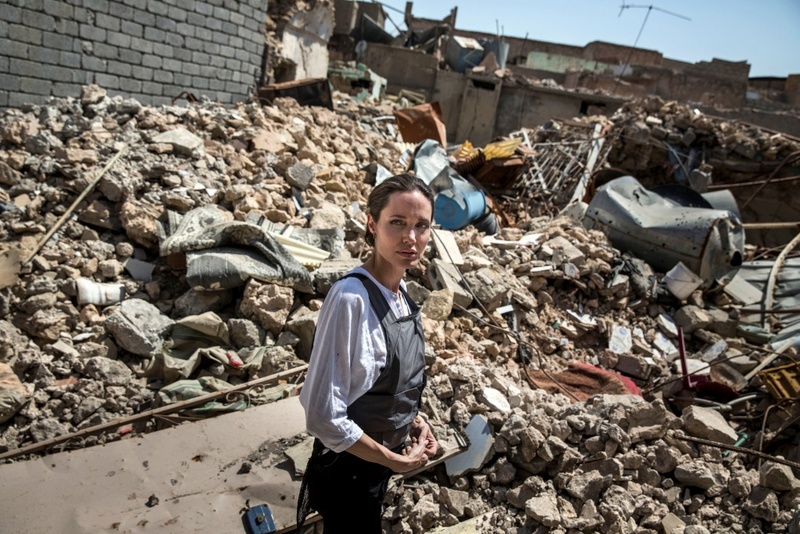 On Saturday Jolie visited Mosul, the biggest city in northern Iraq, which Iraqi forces took back last year from Islamic State militants, who had occupied the city for three years, forcing 900,000 residents to flee. Jolie met families from western Mosul and walked through bombed out streets, video footage and photos provided by the UNHCR showed. Normality has returned to many parts of Mosul, with displaced residents leaving camps nearby to return home, but reconstruction in the Old City in West Mosul has been slow. It was largely destroyed during a campaign by a 100,000-strong alliance of Iraqi government units, Kurdish Peshmerga fighters and Shi’ite militias backed by air support from a U.S.-led coalition. “This is the worst devastation I have seen in all my years working with UNHCR. People here have lost everything,” Jolie said in a U.N. statement. Jolie has worked for UNHCR since 2001, visiting uprooted civilians from Iraq to Cambodia and Kenya. This was her fifth visit to Iraq, UNHCR said.